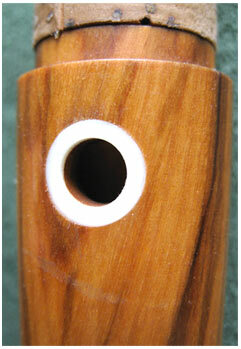 Thumb hole bushing becomes necessary when the hole becomes worn as in the first photograph. 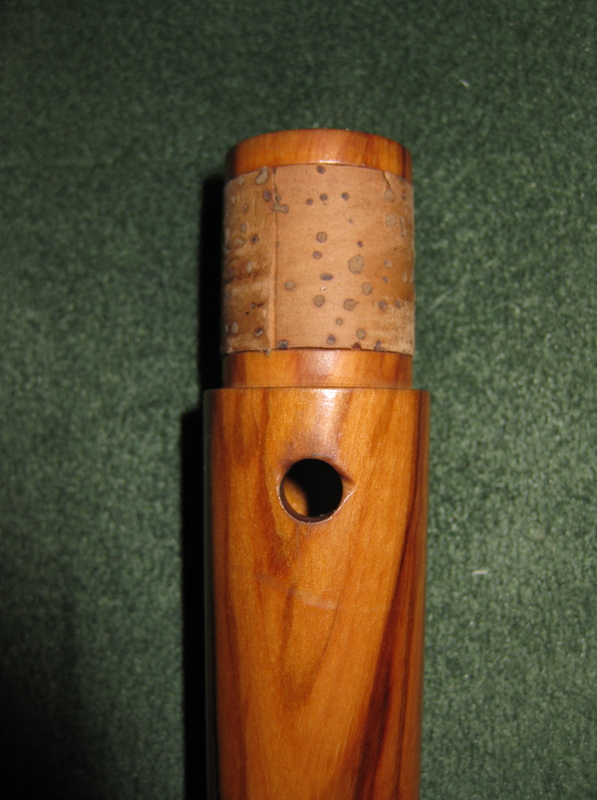 Difficulty playing high notes can often be attributed to this wear as it acts as a guide to the thumb nail. 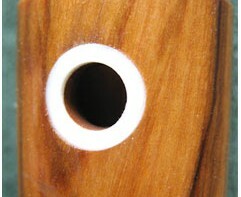 The solution is to return the hole to the original shape. 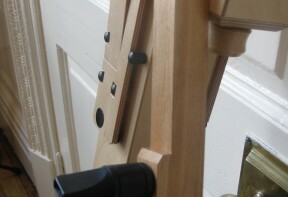 This is done by cutting away the surrounding wood and inserting a plastic (or sometimes wooden) ring. 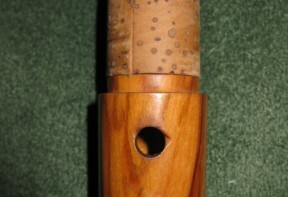 The second photo shows the same instrument with the restored hole. The plastic used is a hard plastic that should last for years. If however this gets worn it is an easy job to replace with a new ring.